Draft: 2008, Houston Astros, 1st rd. Jason Michael Castro...Twitter: @J_Castro15...wife, Maris...son, Brady and daughter, Rowan...2005 graduate of Castro Valley (CA) High School...attended Stanford University from 2006-08... Jason and his wife began the charity program Castro's Kids in 2013, which has donated more than 60,000 books to the Houston Independent School District...he and Maris have also been active in supporting Friends for Life, a no-kill animal shelter based in Houston, and the Astros Foundation's cornerstone programs - the Community Leaders program, the Astros Urban Youth Academy and the Astros RBI program...won the gold medal in the 12 and under Bay Area Regional Swim Competition (breast stroke); later used his skills to swim with sharks in South Africa in 2012. Was Twins Opening Day catcher for second consecutive season, the seventh of his career...Played 19 games for the Twins before suffering a right knee meniscus tear, ending his season...Had surgery on right knee May 15 in Vail, Colorado, performed by Dr. Robert LaPrade. Was Twins Opening Day catcher April 3 vs. Kansas City, batting sixth...was sixth consecutive Opening Day roster, first with the Twins...went 2-for-3 with a walk and two RBI...Walked nine times and drove in seven runs in first eight games as Twin, including his first career four-walk game April 5 vs. Kansas City...Hit safely in season-high 11 straight May 22-June 9...Tied single-game career-highs with four hits and four RBI June 13 vs. Seattle; his fourth hit was the 26th of the game for the Twins, which passed the single-game club record of 25 set in 2002 (Twins finished with 28 hits)...Recorded fourth career multi-homer game September 12, 2017 vs. San Diego; tied career high with four RBI...Hit 10th home run on final day of season October 1, reaching double digits in homers for the fifth consecutive season...Hit .263 against left-handed pitching and .234 against right-handers...Finished with a .242 batting average and .333 on-base percentage, both highs since 2013...Caught 108 games (104 starts), most on the team and fourth-most in the AL; also ranked fourth in innings caught (908.1). Played fifth season with Houston, spending entire season with Astros for third straight year...made fifth consecutive Opening Day roster; made fifth consecutive Opening Day start April 5 at New York-AL...Missed three games while on the Paternity List May 10-12...Recorded two triples April 11 and April 13, both against Kansas City...became second catcher since 2000 to record two triples within his club's first nine games of a season (J.P. Arencibia in 2011 with Toronto)...Made first career appearance at first base July 26 vs. New York-AL; his first career appearance at any position other than catcher...also played first base on July 29 and July 30, both at Detroit...Finished the season first among AL catchers in triples (3), second in walks (43), fifth in on-base percentage (.309) and tied for fifth in doubles (16)...Reached 100 catcher caught stealings in his career in final game September 30 at Los Angeles-AL...became one of just four catchers in Astros franchise history to reach the mark, joining Alan Ashby (251), Brad Ausmus (209) and Craig Biggio (104)...Started 102 games at catcher, the fifth most in the AL...caught 22.4 percent of attempting base stealers (13-of-58)...Stole two bases, tying a career-high, previously accomplished in 2013. Served as Houston's primary catcher in what was his ﬁfth Major League season...named one of three ﬁnalists for the 2015 AL Gold Glove Award...made 102 starts behind the dish with Houston going 60-42 (.588) in his starts...threw out 24-of-66 runners attempting to steal (32.3%)...marked the best caught stealing percentage by a Houston catcher since Brad Ausmus threw out 40% of runners attempting to steal (30-for-75) in 2001...Castro ranked ﬁfth among AL catchers in caught stealing percentage, and second in ﬁelding percentage (.999, 1E/840TC)...per Baseball Prospectus, was the AL's second-best pitch framer,behind only Tyler Flowers of the White Sox...added 12.6 runs with his framing, behind Flowers' mark of 17.5...became the ﬁrst catcher in club history to post three career double-digit home run seasons...is one of three AL catchers to post double-digit homers in each of the last three seasons (also, Salvador Perez and Yan Gomes)...moved into second place on Houston's all-time home runs list by a catcher with 48,trailing only Alan Ashby (69)...also moved into sixth place in club history for most starts by a catcher (438), surpassing Craig Biggio (403)...hit two dramatic, walk-oﬀ homers (Aug. 23 vs. LAD; July 30 vs. LAA), giving him three for his career...his three career walk-oﬀ homers are the most in club history by a catcher, and rank tied for third among all Astros players all-time...his three walk-oﬀ homers over the last two seasons are tied for the second-most in baseball with Mike Trout, Chris Davis and Starling Marte behind only Josh Donaldson (6)...made his fourth consecutive Opening Day start for Houston...was placed on the 15-day Disabled List with a strained right quad on Aug. 29, before returning on Sept. 17...caught a career-high three runners attempting to steal on June 10 at CWS (J.B. Shuck, Avisail Garcia twice)...this tied a franchise record, last achieved by Brad Ausmus on April 19, 2003 at MIL...hit his second career walk-oﬀ homer on July30 vs. LAA, a three-run shot oﬀ RHP Fernando Salas...per Elias, became the fourth player in club history to hit a walk-oﬀ homer with the score tied at 0-0, joining Glenn Davis (July 22, 1986), Jimmy Wynn (June16, 1972) and Denis Menke (Sept. 5, 1969)...hit a grand slam on Aug. 3 at TEX...was his 50th career home run, and the third grand slam of his career...per Elias, it marked the ﬁrst time since 1985 that two Houston catchers hit grand slams in the same season, as Hank Conger turned the trick two games prior...Mark Baileyand Alan Ashby did so in 1985...joined Brad Ausmus as the only catchers in club history with three career grand slams...caught the ﬁrst no-hitter of his career on Aug. 21 vs. LAD (Fiers)...became the ninth catcher in club history to catch a no-hitter, joining Brad Ausmus (2003), Scott Servais (1993), Alan Ashby (1986, 1981,1979), Ed Herrmann (1976), Don Bryant (1969), Dave Adlesh (1967), Jerry Grote (1964) and John Bateman (1963)...hit his second walk-oﬀ homer of the season on Aug. 23 vs. LAD...was a 10th inning solo-shot oﬀ RHP Chris Hatcher that gave Houston a 3-2 win and a series sweep over the Dodgers...started at catcher in all six of Houston's postseason games (1x16, .063)...was his ﬁrst career trip to the postseason...in the Wild Card Game at NYY, became the ﬁrst Houston backstop to catch a shutout in the postseason since Brad Ausmus in Game 5 of the 2004 NLCS vs. STL...recorded his ﬁrst career postseason hit and RBI in Game 3 of the ALDS, giving Houston the lead with a two-run single in the 5th inning. Played in a career-high 126 games, making a career-high 121 starts (110 at catcher, 11 at DH)...among AL catchers, ranked tied for sixth in homers (14) and tied for fifth in doubles (21)...became the third catcher in Astros history to post two seasons with double digit homers, also C Alan Ashby (1982, 1987) and C John Bateman (1963, 1966)...also became the first catcher in club history with double-digit homers in back-toback seasons...threw out a career-high 21 runners attempting to steal (21-of-102, 20.6%)...hit well out of the No. 2 spot in the order, batting .320 (16x50) with four extra-base hits and four RBI...per StatCorner.com, saved nine runs above an average MLB catcher with his pitch framing...was a 12.9-run improvement from 2013...ranked 11th among all MLB catchers in Baseball Prospectus' pitch framing metric...made his third consecutive Opening Day roster and remained with the Astros for the entirety of the season...hit his first career walk-off homer on June 27 vs. DET...hit a solo shot off LHP Blaine Hardy with the score tied at 3-3 in the bottom of the 11th inning...hit the only grand slam by an Astro at Minute Maid Park with his homer on Aug. 28 vs. TEX...was the second grand slam of his career...named the Astros nominee for the 2014 Roberto Clemente Award. Was an American League All-Star, a two-time AL Player of the Week and was named the Astros Team MVP by the Houston Chapter of the BBWAA ... had one of the greatest offensive seasons by a catcher in Astros history, setting single-season club records by a catcher in doubles (35), homers (18), runs scored (63), extra-base hits (54), SLG (.485), multi-hit games (33) and OPS (.835)...the previous doubles record was held by Brad Ausmus (25 in 1997) and the HR record was held by John Bateman (18 in 1966) ... received his first All-Star nod this season, becoming the second catcher in club history to be named an All-Star (also Biggio in 1990)...became the first Astro since Lance Berkman in 2008 to win two Player of the Week awards in the same season...Bagwell is the only other Astros player to do so (three POW awards in 1994)...ranked tied for seventh in the AL in doubles thru Sept. 7 before missing the rest of the season with a right knee injury...hit the most doubles by an Astro since Carlos Lee in 2011 (28)...finished tied for first in the AL with seven multi-double games ... prior to 2013, the last AL player with seven multi-double games was Robinson Cano in 2011...led AL catchers in slugging (min. 450 PAs) and finished second in OPS, third in runs and OBP, tied for third in doubles, fourth in homers and tied for sixth in hits...according to Baseball Reference, finished second among AL catchers in WAR (4.5) behind Joe Mauer (5.4)...set career highs in almost every offensive category after playing in a career-high 120 games...was placed on the 15-day DL on Sept. 17 due to right knee discomfort...had a cyst on his right knee drained on Sept. 3 and had a minor arthroscopic procedure done on Sept. 19 ... played his last game of the year on Sept. 7 and missed the final 20 games of the season...became the first Astro to receive AL Player of the Week honors when he hit .579 with three HR, five RBI and a .636 OBP for the week of May 20-26...the last Astros player to receive a weekly award was Hunter Pence, who won the NL Player of the Week award in 2010...the last Astros catcher to win a weekly award was Biggio in 1990 ... had a career-long, 12-game hitting streak from July 31-Aug. 14...marked the longest hitting streak by an Astros catcher since Tony Eusebio hit in 24 straight games from July 9-Aug. 28, 2000 ... his 445-ft. HR on Aug. 9 vs. TEX was the longest HR hit at MMP in 2013...received his second AL Player of the Week award on Aug. 26 after hitting .529 (9x17) with six extra-base hits (two doubles, one triple, three homers), five RBI and a 1.913 OPS (.619 OBP/1.294 SLG) for the week of Aug. 19-25...ranked third among AL players with a 1.067 OPS in August, trailing Miguel Cabrera (1.162) and Mike Trout (1.090)... from July 31 through the end of the season, hit .333 with eight doubles, six HR and 21 RBI in 29g...led the Majors with a 1.053 OPS over that span (min. 100 PA). After beginning the season with a .209 (18x86) average thru his first 26 games, rebounded to posta .281 (48x171) batting average with a .362 on-base percentage, six home runs and 21 RBI in his last 61games (since May 21)...given the Astros' 2012 Darryl Kile "Good Guy" Award by the Houston Chapter ofthe BBWAA...collected four of his six homers in his last seven games of the season...led the club's catchingcorps with a 4.34 catcher's ERA (312ER/646.2IP) in his 79 games (73 starts) behind the dish...caught 12 of 69attempting base stealers on the season...against right-handed pitching, hit .286 (58x203) with 13 doubles,six homers and an .831 OPS (.373 OBP/.458 SLG)...after sitting out the entire 2011 season with a right kneeinjury, spent five of the season's six months on the active roster...was on the DL from July 15-Aug. 13 witha right knee effusion...returned to game action in Spring Training and led the club in hitting during the Spring with a .364 mark...made his first career Opening Day start on April 6 vs. COL, going 0x2 with twowalks...hit over .300 in both June (.302, .367 OBP) and August (.306, .359 OBP)...had his first multi-homergame on Sept. 28 at MIL, the first multi-homer game by an Astros catcher since J.R. Towles hit two on Sept.29, 2009, at PHI... combined to hit .556 (10x18) with three doubles, one home run and two RBI in his seveninjury rehab games with Triple A OKC (4g) and Double A CC (3g). Missed the entire 2011 regular season while recovering from a right knee injury...sustained the injury while tryingto avoid a tag at first base on March 2 at DET (Lakeland), in the club's third game of Spring Training...underwent surgery onMarch 4 at The Methodist Hospital in Houston, which repaired a large tear of the medial meniscus and reconstructed hisanterior cruciate ligament (ACL)...spent his season rehabbing before returning to baseball activities in Sept...participated inthe Astros Instructional League in Oct. before joining the Arizona Fall League...played in 12 games for the league-championSalt River Rafters, hitting .289 (11x38) with one double, four RBI and a .404 on-base percentage...caught 2-3 times a week inthe AFL...finished his year hitting safely in five of his last six games (.400, 8x20). In his first big league season and second full professional season, hit .205 (40x195) with eight doubles, one triple, twohomers and eight RBI... started 57 games at catcher for Houston and committed only two errors in his 67 overall games at theposition... threw out 17 of 48 attempted base stealers (35.4%)... his 67 games at catcher are the most by an Astros rookie sinceMitch Meluskey caught 103 in 2000... hit .242 (16x66) in his final 23 games of the season after Aug. 26... posted a career-long,five-game hitting streak from July 28-Aug. 6, during which he hit .350 (7x20) with a triple, RBI and three walks... collectedhis first Major League hit in his first ML plate appearance on June 22 with his third-inning single of Tim Lincecum... becamethe first Astro to record his first MLB hit in his first MLB plate appearance since Tommy Manzella did so on Sept. 11, 2009 vs.PIT as a pinch-hitter... also threw out two base stealers in his MLB debut... had his contract purchased from Triple A on June22... hit .265 (36x211) with four homers, 26 RBI and a .365 OBP in 57 games at Triple A... after a .226 average with no homersin April at Triple A, posted a .278 average (44x158) with four homers and 20 RBI in 41 games from May 1-June 19... reachedbase safely via hit or walk in 32 consecutive games from May 6-June 13... spent most of Spring Training with the Astros as anon-roster invitee... hit .313 (10x32) with two RBI and a .378 OBP in 16 games in the Spring... was the youngest player invited toMajor League Spring Training in both 2009 and 2010... at 22-years-old entering 2010 Spring Training, he was one month youngerthan the second-youngest player, RHP Henry Villar (born May 24, 1987). Combined to hit .300 (134x446) with 10 home runs and 73 RBI in 109 games between Class A Lancaster and DoubleA Corpus Christi...played 101 games behind the plate, posting a .977 fielding percentage (14E/677TC)...caught 49 of 109attempting base-stealers (45%)...began the season as a non-roster invite to Astros Spring Training and appeared in fivegames, recording two hits in eight at-bats (.250)...was re-assigned to minor league camp on March 10...began his regularseason at Lancaster, where he hit .309 (64x207) with seven homers and 44 RBI...earned the JetHawks Defensive Player of theMonth honors for April and May...earned a promotion to Corpus Christi in early June and made his debut with the Hooks onJune 10...invited to play in the All-Star Futures Game held in St. Louis on July 12...hit a three-run home run in the fifth inningfor the U.S. Futures off of Blue Jays left-handed pitching prospect Luis Perez...also threw out a runner attempting to stealin the top half of that inning...returned to the Hooks and finished the season hitting .293 (70x239) with three homers and29 RBI...folllowing the season, was one of two catchers selected to represent the United States in the 2009 IBAF World Cup,where the US captured the Gold Medal after going 14-1 in pool play...after the international tournament, Castro returned tothe states and was assigned to the Peoria Saguaros of the Arizona Fall League...played his final game of the season on Nov.5, as the starting catcher of the West squad in the Rising Stars Game of the AFL. In his first professional season withSingle A Tri-City, hit .275 (38x138) with two home runs and 12 RBI in 39 games...made his professional debut on July 14...thefollowing month, his first full month as a professional, Castro earned Tri-City's Defensive Player of the Month for August...caught a total of 27 games and was a DH for his 12 other appearances on the season...played in the Hawaiian Winter Leaguefollowing the season, and earned Postseason All-Star honors after hitting .333 (36x78) with two home runs and 13 RBI in 23games for the North Shore Honu. October 29, 2018 Minnesota Twins activated C Jason Castro from the 60-day injured list. June 7, 2018 Minnesota Twins transferred C Jason Castro from the 10-day disabled list to the 60-day disabled list. Right knee meniscus tear. May 5, 2018 Minnesota Twins placed C Jason Castro on the 10-day disabled list. Right knee meniscus tear. September 3, 2017 Minnesota Twins activated C Jason Castro from the 7-day disabled list. August 24, 2017 Minnesota Twins placed C Jason Castro on the 7-day disabled list. Concussion. November 30, 2016 Minnesota Twins signed free agent C Jason Castro. November 3, 2016 C Jason Castro elected free agency. May 13, 2016 Houston Astros activated C Jason Castro from the paternity list. May 10, 2016 Houston Astros placed C Jason Castro on the paternity list. September 17, 2015 Houston Astros activated C Jason Castro from the 15-day disabled list. August 29, 2015 Houston Astros placed C Jason Castro on the 15-day disabled list. 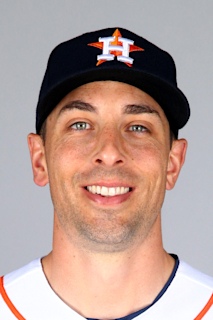 October 1, 2013 Houston Astros activated C Jason Castro from the 15-day disabled list. September 17, 2013 Houston Astros placed C Jason Castro on the 15-day disabled list. Cyst in his right knee. August 13, 2012 Houston Astros activated C Jason Castro from the 15-day disabled list. August 6, 2012 sent C Jason Castro on a rehab assignment to Oklahoma City RedHawks. August 3, 2012 sent C Jason Castro on a rehab assignment to Corpus Christi Hooks. July 15, 2012 Houston Astros placed C Jason Castro on the 15-day disabled list retroactive to July 8, 2012. Right knee swelling. October 31, 2011 Houston Astros activated C Jason Castro from the 60-day disabled list. October 8, 2011 C Jason Castro assigned to Salt River Rafters. May 28, 2011 Houston Astros transferred C Jason Castro from the 15-day disabled list to the 60-day disabled list. March 22, 2011 Houston Astros placed C Jason Castro on the 15-day disabled list. Recovering from March 2011 right knee surgery. June 22, 2010 Houston Astros selected the contract of C Jason Castro from Round Rock Express. April 4, 2010 Jason Castro assigned to Round Rock Express from Corpus Christi Hooks. January 16, 2010 Houston Astros invited non-roster C Jason Castro to spring training. June 10, 2009 Jason Castro assigned to Corpus Christi Hooks from Lancaster JetHawks. April 8, 2009 Jason Castro assigned to Lancaster JetHawks from Tri-City ValleyCats.